How Do Certified Checks Work? When your bank places a hold on your account, a portion of your balance becomes unavailable for use for a set period. Your bank may place a hold as the result of a recent withdrawal or a check deposit. Holds are designed to protect banks from financial losses in the event that you overdraw your account. But federal laws limit your bank's ability to hold your funds. If your bank places a hold on your account, a portion of your balance becomes unavailable for a period of time. This may be due to a recent withdrawal or check deposit on your part. Banks place holds as a way to help protect them from financial losses if you overdraw from your account. When you deposit a check into your bank account, your bank contacts the institution on which the check was drawn and demands payment of the item. In some instances, banks transmit this information electronically, but in other instances banks actually send the paper check to the check writer's bank. 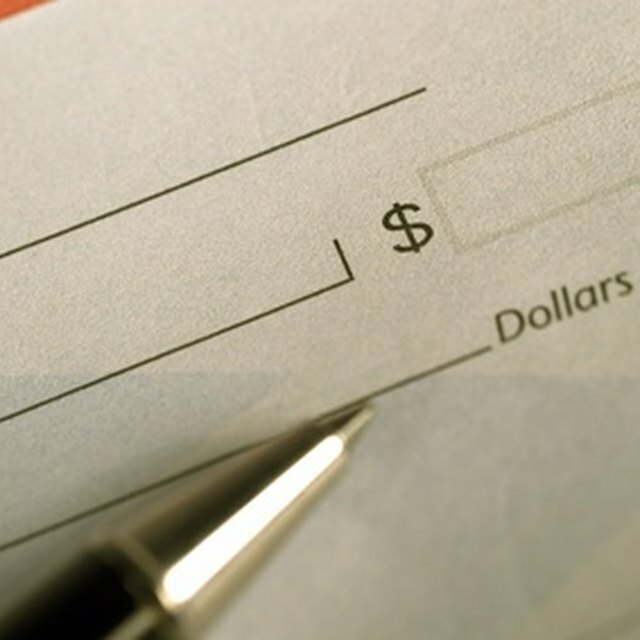 It can take a few days for your bank to receive the money from the check writer's bank. If the check writer's account has insufficient funds, the bank may refuse to honor the item and the dishonored check is sent back to your bank. Your bank may give you immediate credit for check deposits, but many institutions place holds on checks as permitted under federal Regulation CC. Typically, a bank must make $200 of a check deposit available for use on the next business day, but remaining funds can be held for two business days. If a check is dishonored by a bank, it takes between two and four days for the check writer's bank to notify the depositor's bank. The placement of a hold reduces the possibility of the check depositor spending money before realizing the deposited check has been returned unpaid. Were this to happen, the depositor's account might register a negative balance. The larger a check, the great the potential losses your bank could incur if the check is returned unpaid by the check writer's bank after you have already spent the cash. Consequently, banks can place seven-day "exception holds" on checks that exceed $5,000. Banks may place nine-day holds on checks in the aftermath of natural disasters and other events, because the normal check handling process may be subject to disruption and delays. Once placed, the check hold generally remains in place until the expiration date even if the bank receives the funds in the interim. Can They Put Holds on Savings Accounts? How do I Find an ABA Routing Number? Aside from holding deposited funds, your bank may also decide to place a hold on your account when you use your debit card. Merchants normally obtain authorization from your bank when you swipe your card, but it can take three of four days for the merchant's bank to actually process the transaction and collect the money from your account. Consequently, your bank may place a debit card hold on your account to prevent you from accessing the cash before the transaction is completed. The hold expires when the withdrawal posts to your account.